As anyone who has been following this story knows that, in June, the U.S. Patent and Trademark Office’s Trademark Trial and Appeal Board stripped the Redskins of its six trademark registrations. Pro-Football Inc., the company owned by Dan Snyder, the owner of the Redskins, filed a complaint in August challenging the constitutionality of the Lanham Act, which allows the prevention or cancellation of a registered trademark if deemed disparaging and was cited by the U.S. Patent and Trademark Office in this case. The Department of Justice has stated, in a brief filed on January 9th, that they intend to defend the constitutionality of the Lanham Act. This brief clearly states that the government has every intention of fighting Pro-Football Inc. on their assertion that the Lanham Act is unconstitutional, and I commend the government for their willingness to step in and defend government statutes that defend people from disparaging speech. 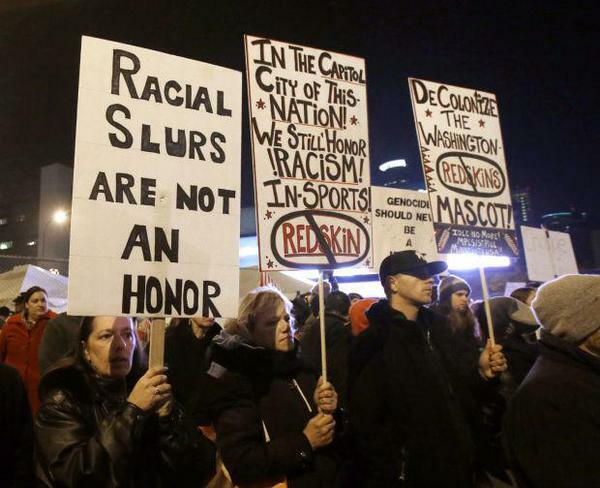 It seems as though the owners of the Redskins are keeping the name out of tradition and stubbornness. In a more tolerant and politically-correct world, we see people not being as willing to be associated with a brand that is seemed to be racist by some people. In 2014, Redskin merchandise sales plummeted by 43%. This is just a sign that keeping this name is going to lose the team and its organization money. I wonder, though, in this charged atmosphere of “real history” and “imagined nostalgia,” if the Redskins did change their name, would they face a different sort of backlash? I guess we will have to see what happens next. Nicki Minaj vs. Taylor Swift: bad blood or overreaction?